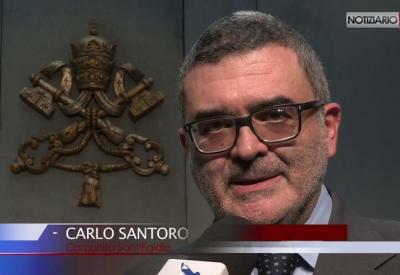 "The Community of Sant'Egidio endorses CMN’s National Catholic Pledge to End the Death Penalty. It is inspired by Pope Francis’ words who, in several opportunities, called for the abolition of capital punishment like when he said “All Christians and people of good will are thus called today to fight not only for the abolition of the death penalty, whether legal or illegal, and in all its forms, but also in order to improve prison conditions”. This is very important for the Community of Sant’Egidio because wherever we work in the world we strive to humanize the prison system." To read the full Vatican Radio interview, click here. To learn more about the work Sant'Egidio does to advocate for the end of the death penalty, click here.